This Halloween it's time for you to make them laugh! What will help out with that? 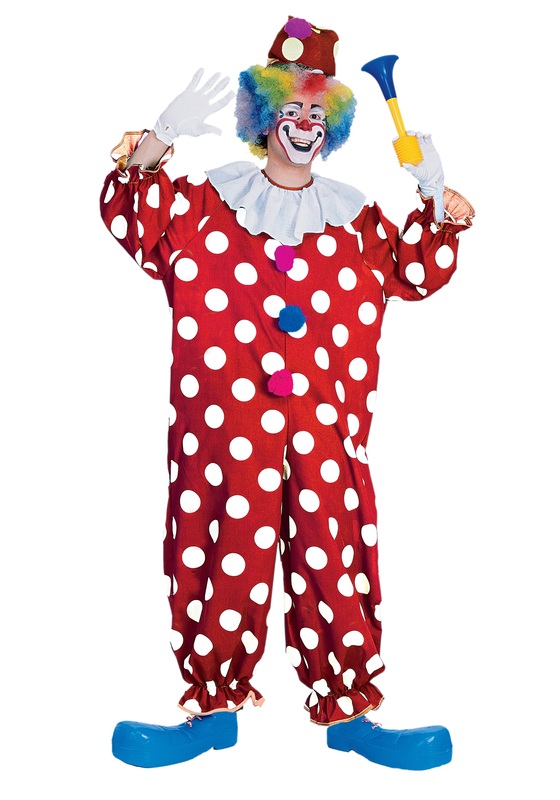 Why your very own clown costume. Slip this red and white number on and you'll be sure to get some giggles. But what would make this costume really pop? When you add some of our great clown accessories like make up, colorful wig, and big clown shoes.